This desert recipe gives you the chance to experience food heaven in your own kitchen. The recipe is supplied by the Michelin starred Northcote kitchen and gives you the opportunity to create a sweet masterpiece at home. 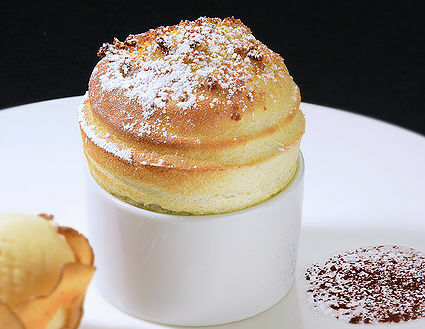 Combining the traditional British apple crumble and the elegant French Soufflé you will be amazed at the easy of this recipe. Chef Gareth Bevan representing Food By Breda Murphy supplies this decadent cheesecake recipe. 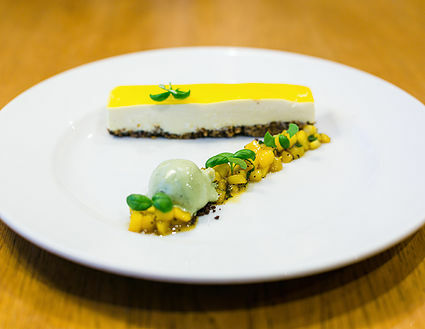 This no bake cheesecake is accompanied by a highly flavoursome green tea ice cream and a tangy mango salsa. The simple recipe is split in to three clear stages meaning you will be tasting this delight in no time at all. Ryan Greene head chef at the wonderful Foxfields Country Hotelprovides a recipe he loves to produce using the local game of the area. 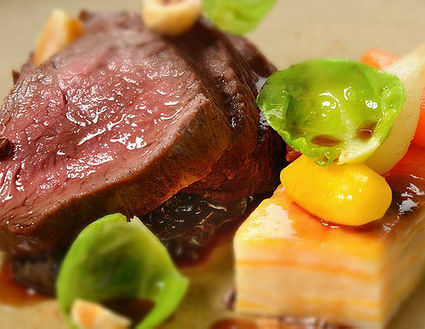 This roasted venison dish is served with glazed and root vegetables, dauphinoise potatoes, pancetta and a celeriac puree. It is a true and traditional countryside dish and with this recipe you have the chance to create it. 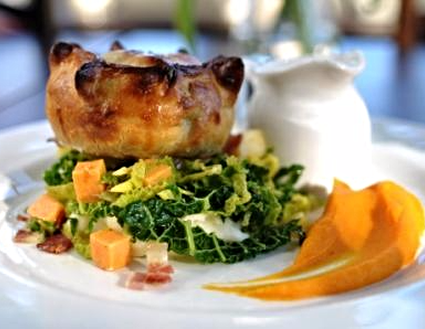 Using local seasonal game this recipe is a staple of the award winning Parkers Arms kitchen. A golden crusty pie case contains a rich and flavour full filling that will fill your home with magnificent aromas. The recipe can be adapted to either make one large pie to feed the whole family or a collection of smaller ones which are perfect for the individual. Millstone at Mellor provides this fantastic and popular starter dish. Juicy goosnargh duck provides the filling cooked with chilli and hoi sin and served with a simple but wonderful cucumber sesame seed salad. 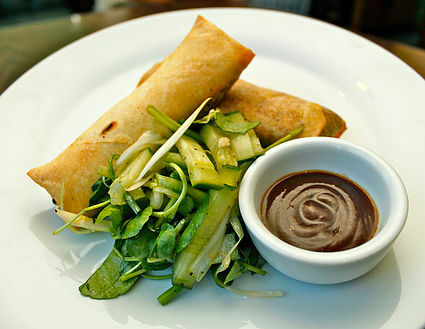 Duck spring rolls may be common starters in many establishments but Millstone has a reputation for making them extra special.